Did you hear me laughing at your words? Perusing the pics and thinking, "I need to do this for the media room." This is a brilliant spread. I am beyond excited to have the photograph in black and white of the little ballerinas framed and included. Working with Liz Carroll was AWESOME. This is the cutest lil girls room ever. That stage is adorable. 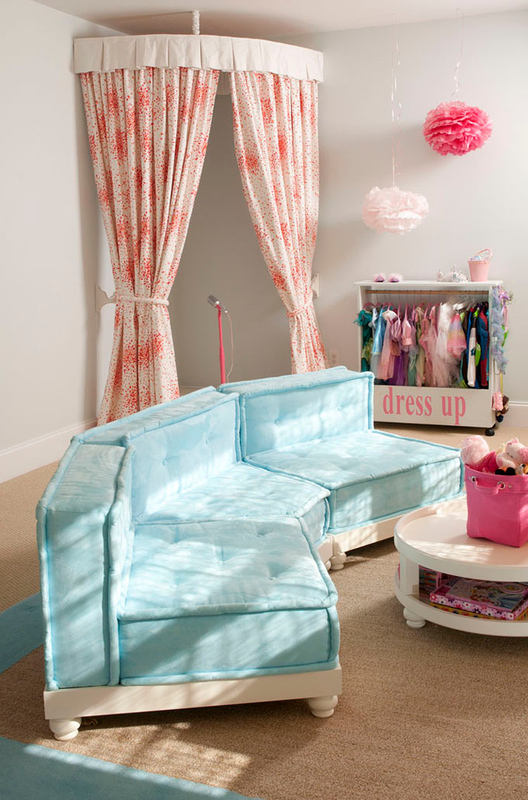 This is such a perfect room for a little girl- that stage is to die for! As for the mirror over the bed? I would most definitely steal it for my own room! My six-year-old daughter has the SAME bedding! We love it! Now. 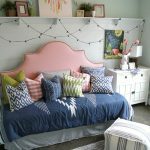 You have me wanting to add a fun mirror over her bed! Love the beaded chandelier, le ceiling, the Caitlin Wilson curtains and of course the stage with the dress uo station! Evrything is so adorable!!! that play room is to.die.for! <3 it! What a great room! That is a lucky girl. Too fun! Love the print on the bedroom curtains! I am so in love with this lil girl room. I was just telling my husband we should build our daughter a lil stage for her room. What an inspiration! 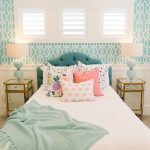 I am loving that peony fabric on the curtains – I could imagine that pattern applied in a lot of different settings. Gorgeous! 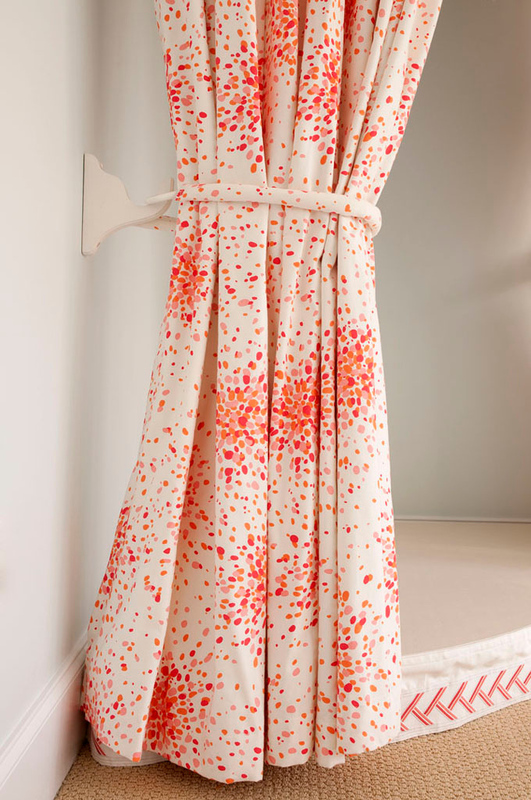 Liz Carroll is a fabulous designer love this! I just adore Liz and she always does fabulous work!! Thanks for sharing! Just beautiful! Love the stripped ceiling! Great Designer! Love Liz! Precious and sweet. I've seen this chandelier before and liked it. I thought it was larger. Love everything about both rooms! Talented Liz does it again! wow I just love this room, what a lucky girl! Beautiful! I've been thinking about painting my bedroom furniture. It is all old and brown right now. 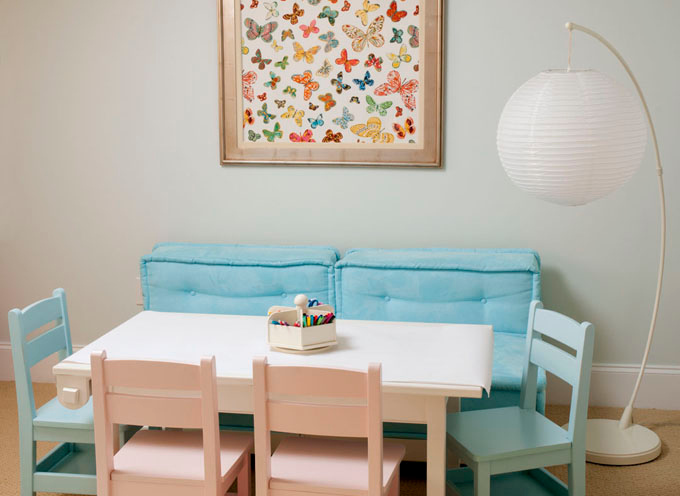 I'm considering a shade of purple?Turquoise walls of course! 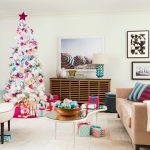 Liz Carroll's designs are as fresh and fun as she is!! 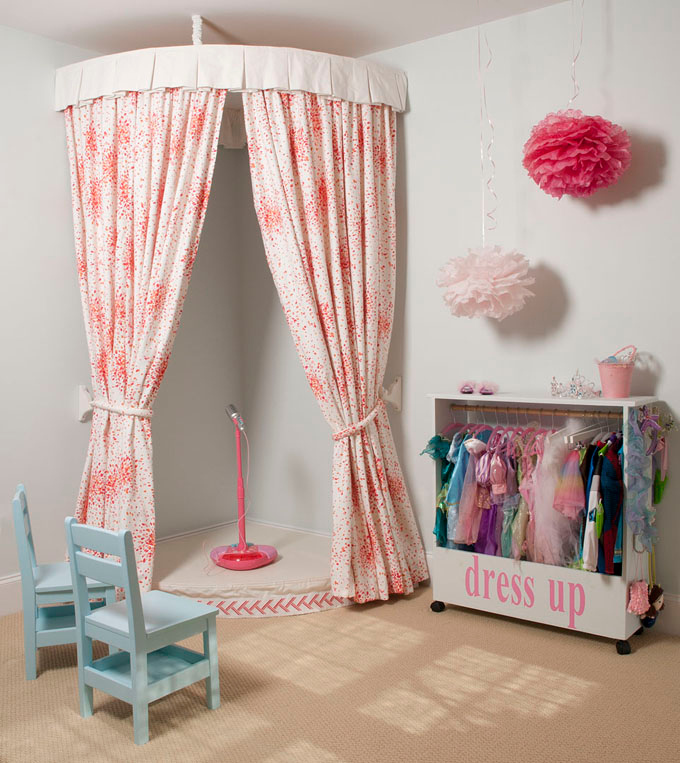 Every little Diva's dream of a room! Both are fit for a princess! 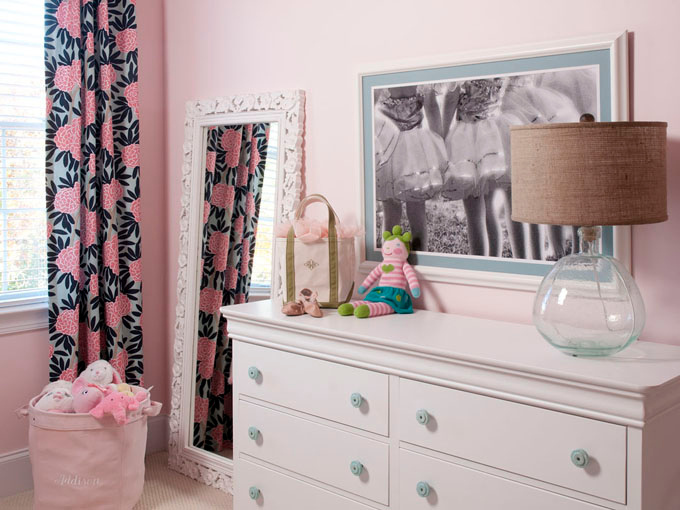 That 'big girl' room has enough sophistication to it that she can grow into it and still love it when she's a little older…And the other one—what are those flower pouf things hanging from the ceiling? They are so cute! Wonder what they are made of? Liz's designs are always so fresh and fun. These rooms are no exception. Love everything!! Just looking for some inspiration for my daughter's upcoming bedroom makeover, this is just the ticket! 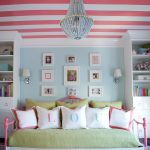 The striped ceiling does it for me…great touch! Cute, Cute love the soft pink walls with striped ceiling my daughter would have been so thrilled with a room like this. Sending to my sister she has a little one that would love it as well. Great job Liz! I love it!! Wow I LOVE the ceiling & the butterfly artwork!! how adorable!! I love the ceiling, those floral drapes, and the polka dot ones …. so much fun! This room is so cute! I would have loved to have a room like this when I was a little girl. Wonderful job Liz!